There’s nothing wrong with a traditional margarita, but let’s be honest; sometimes, you just need to do something a little different. When you’re feeling a little tired of the same old margarita recipes, it’s time to mix things up. Fortunately, we’ve come up with six unique ideas for upping your margarita game. Perfect for your next social gathering, these fun variations on the traditional margarita will have you falling in love with the drink all over again. Booze and popsicles. Is there really any better combination—especially on a hot summer day? We didn’t think so. Rather than your typical hum-drum margarita in a glass, why not make popsicles out of them for your next barbecue or party? 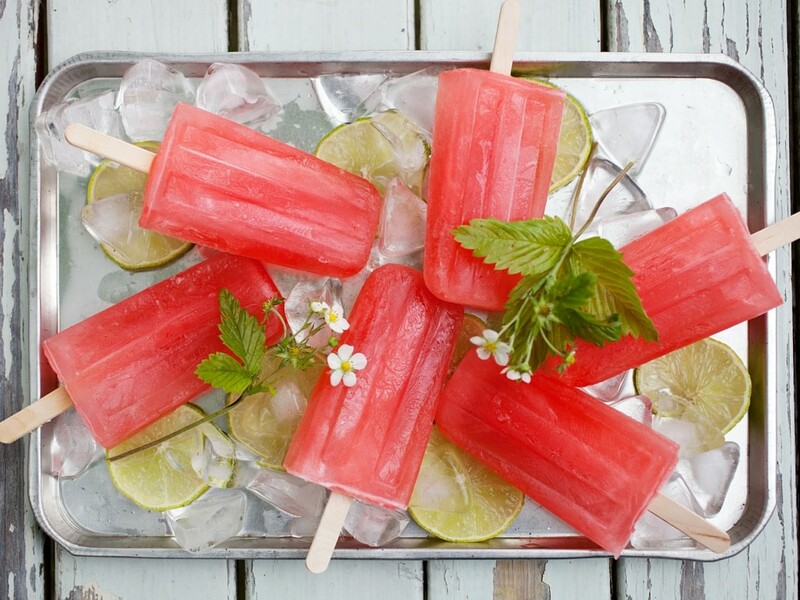 You can buy popsicle trays at your local grocery store; then, it’s just a matter of adding in a bit of your favorite non-alcoholic mixers (such as lime or orange juice) to ensure that the popsicles freeze and harden. If you’ve had jello shots before, then you already know they’re the most amazing combination of your childhood and your adulthood. But most jello shots are made with vodka or rum. Why not mix things up a little bit and incorporate tequila for a margarita shot? From strawberry margarita shots to traditional margarita shots served in real lime wedges, the possibilities are endless. These are the perfect surprise to whip up for your next gathering. Who says you should have to choose between a beer and a margarita? With a beer-rita, you can have both at the same time! Making a beer-rita is simple enough; all it involves is carefully pouring your favorite beer into an already-made margarita (just be careful not to let the head get too high). We recommend using an authentic Mexican beer for the best results, but we won’t judge if you don’t have any readily available. Sometimes, all it takes is the addition of a couple unique ingredients to take your margarita to the next level. From bloody Mary margaritas with olive juice and Tabasco sauce, to jalepeño margaritas and everything in between, there are so many ways to spice up your favorite beverage. Either of the aforementioned unique margaritas will also go great with many authentic Mexican food recipes. Have your cake and your margarita, too! Or did we mean to say cookies? Enjoy all your favorite aspects of a margarita in dessert form by whipping up a batch of margarita cookies with a tequila glaze. It’s easier than you think, and it’s love at first bite. But don’t just take our word for it…you have to try this one out for yourself. Of course, even if you decide to remain loyal to your traditional margarita, you can always enjoy it in a fun and unique glass or mug. And when you bring your Macayo’s mug to any of our restaurants, you’ll even receive a great price on a margarita fill. Just another reason to drink more margaritas, enjoy some delicious Mexican food, and gather to spend time with friends and family.